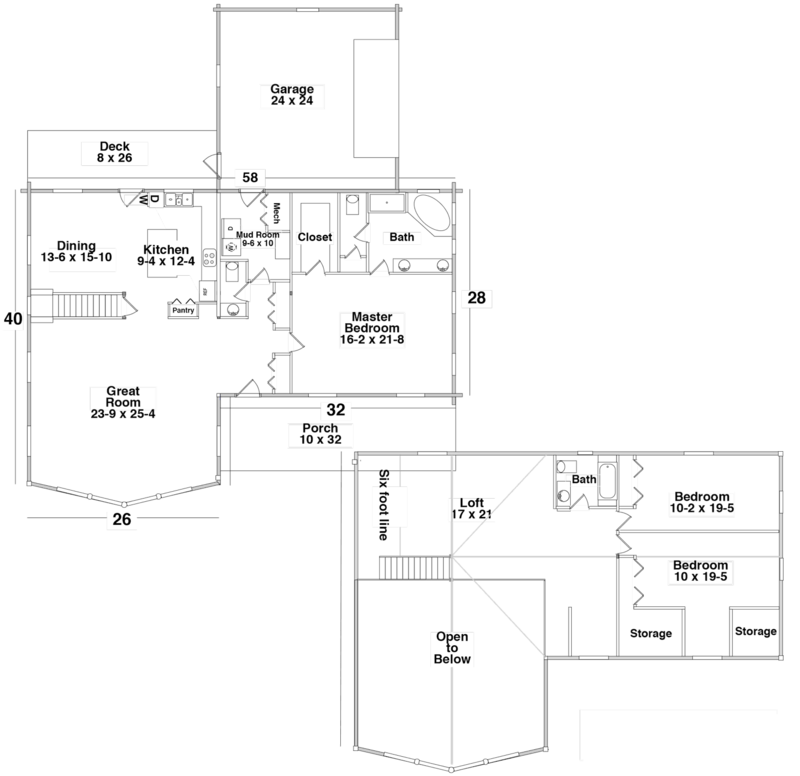 The PINE TOP floor plan is 3026 square feet home with two floors. It has 3 bedrooms, 2 baths and a office/den. It includes a great room, mud room, dining room, porch and deck and a garage. Anything you want… any design, any floor plan, any exterior look, it can all be yours. Peruse our Gallery of Homes, each representing our broad flexibility of design and style. Floor Plan: 3026 sq. ft.
First Floor: 1978 sq. ft.
Second Floor: 1048 sq. ft.
Download a PDF of this home and it’s floor plan. Refer to blueprints for specific sizes. Every Century Cedar Log Home is warm and inviting, and a cozy place to live. It is also a place that you can be very proud of for years to come. It is a Post and Beam structure which is the finest construction method known. Western Cedar is a top rated wood for its workability, resistance to rot and insects, and low moisture content. With our experience and skill in log homes, we can guarantee that you will be completely satisfied with your new quality cedar log home. Our design team will ensure you home will fit your dreams. "Forging Lasting Relationships" aren't just words to us. We know the importance of delivering an exceptional product and servicing the needs of our clients. We have built lasting relationships for over 20 years through our excellent quality, reasonable prices, and exemplary personal service. 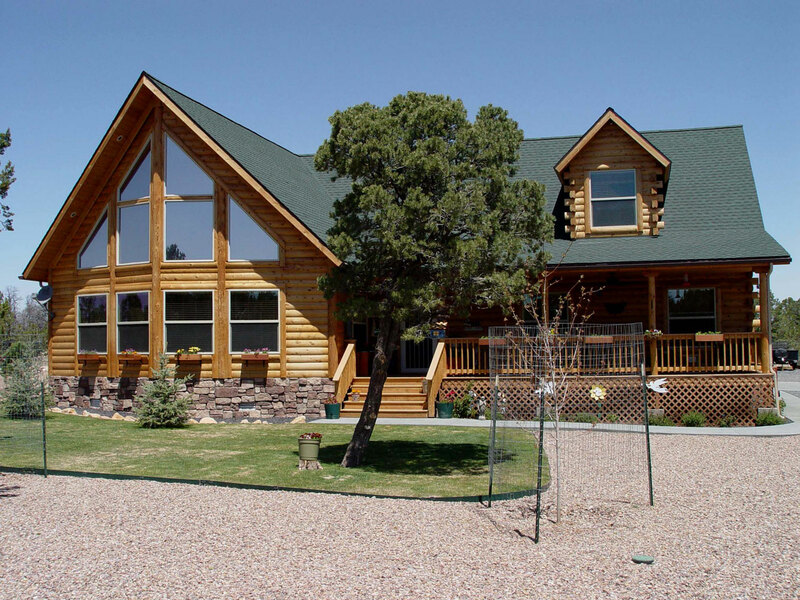 We have many builders in the western United States who are trained to build with our log home building system. If you prefer to use your own builder, a representative from Century Cedar Homes will be on site to help train your crew and get your home built right. Welcome to Century Cedar Log Homes and your future dream home!